An object can be selected by pointing with the mouse in the object tree. 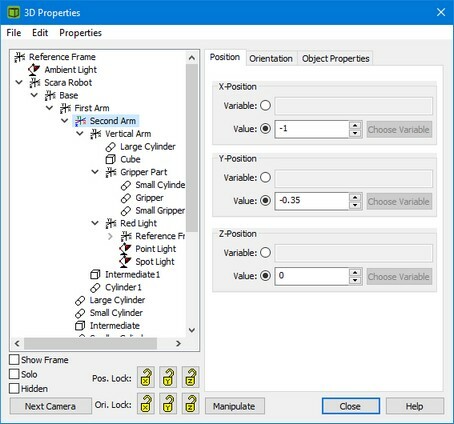 Select an object in the 3D Animation Properties window. 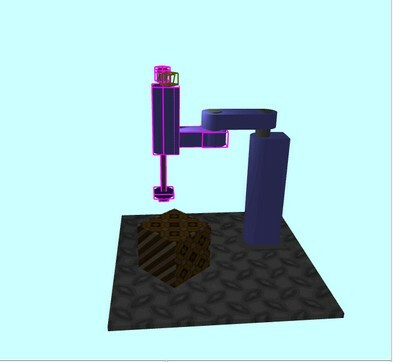 This selection is also shown in the 3D Animation window as a pink box around the object. It is also possible to select an object with the mouse by clicking in the 3D Animation window. The selection will automatically jump to the object in the tree of the 3D Animation Properties window.